Hey everyone! 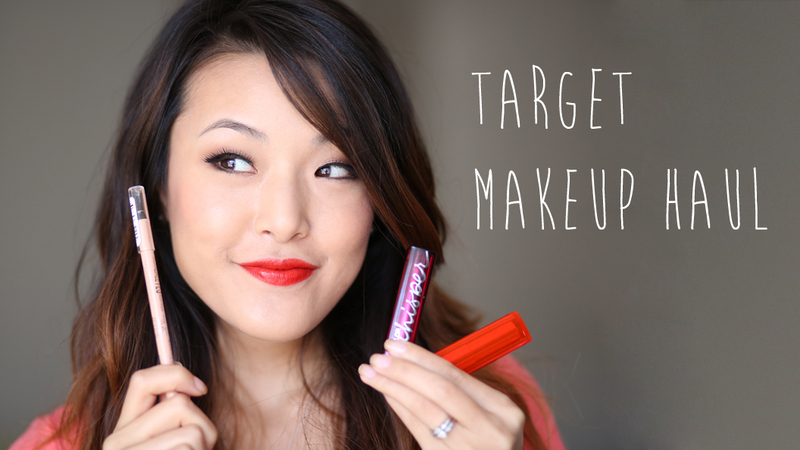 I recently went to Target to pick up some new Spring drugstore makeup releases which I've been so excited to try. I grabbed a few lipsticks, an eyeliner, and even a new mascara so check out my entire haul below including lip swatches of the new Maybelline Vivids lipsticks! Out of this whole haul, the stars of the show are obviously the Maybelline ColorSensational Vivids lipsticks which are creamy and extremely pigmented. Since these colors are so fun and dramatic, I wanted to swatch the three I picked up for you. And because I always find full-face pics to be more helpful in seeing what a lipstick would actually look like on, here they are again in context. I'm positive my favorite shade of the three will be rotating soon, but I'm currently loving Neon Red while my husband's favorite is Fuchsia Flash. I did notice from swatching and from initial wear tests that both the pinker shades stain significantly, which can be either good or bad depending on your preference. It does make the color last longer but it doesn't look too great when lips dry out or peel. Those who have tried the other Vivids shades, let me know if this staining effect is consistent throughout the line! In all likelihood, I'll be back at Target scoping out more shades soon. 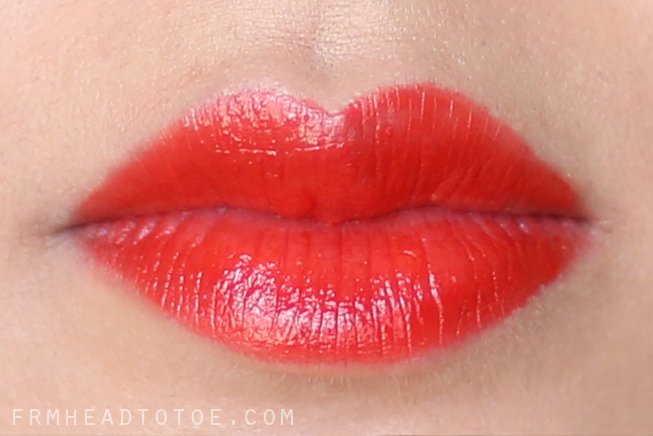 Readers, are you into the bright lip trend? Will you be picking up any of the Maybelline Vivids lipsticks? 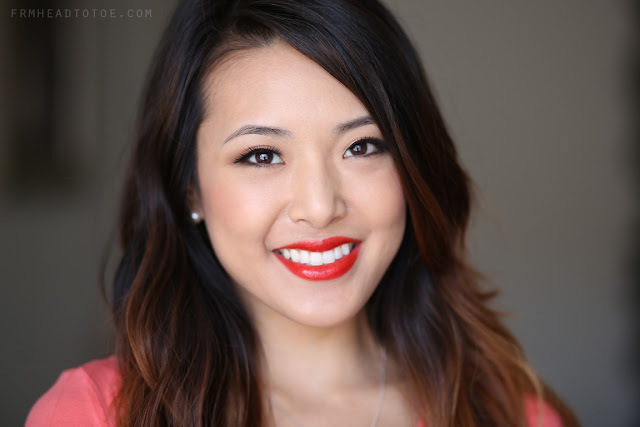 What is your favorite shade of bold lipstick to wear? Let me know in the comments! Loved both the Vivids lipsticks... waiting for them to arrive in India soon. Hot plum and fuchsia flash look extremely similar in the pictures. Would you recommend one or the other or both? Wow!! I really love the lip colours! But fuchsia flash looks so much better than I thought it would be. Oh man, I haven't taken the plunge into neon lips yet! Not sure if I could rock it. The Fuschia Flash looks amazing on you!! never seen the whisper lipsticks before! I absolutely LOVE all of the Vivid lipsticks. They're so incredible for the price! I agree! 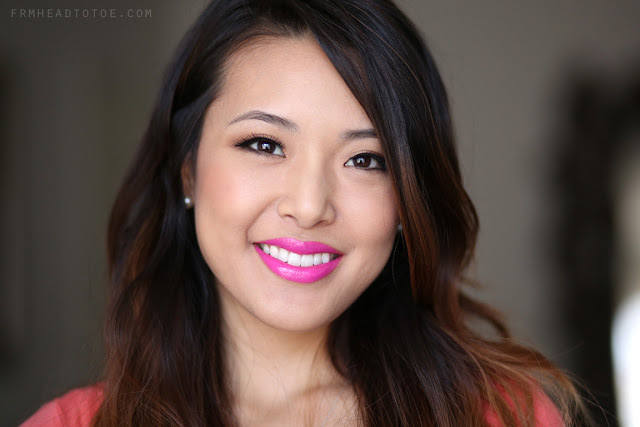 Love that drugstore brands are hopping on the bright lip bandwagon! Can you recommend a drugstore matte eye shadow? All the ones I've seen are very shimmery. Thanks for the quick response! I should have said along with my question that I love your blog and videos. Keep up the great work. You are beautiful! Wow that red lipstick looks lovely on you. Maybelline has definitely been releasing some awesome products lately. Beautiful colors on you! 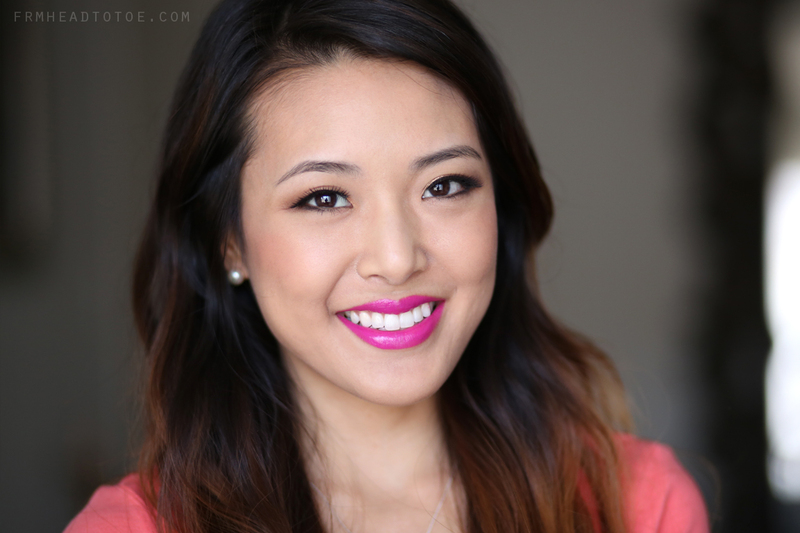 I have always been into the bright lips; there are a lot of fuschia lip colors in my arsenal! The Neon red is perfect on you! Love it. :-) Cheers from Paris. Jen can you please do a Draw My Life video! Love the purple lipstick color. It's romantic and beautiful!!! Maybelline Colossal Cat Eyes Waterproof Mascara! I am in love with hot plum!!! you look amazing wearing pink. why is makeup in the US and everywhere else so much cheaper than it is in australia?! Oh man, I've heard so many Aussies complaining about the same thing. I have no idea! Some drugstore brands here and more expensive in Korea too, like Maybelline! are you going to the upcoming anime expo 2013 in july? Hi Jen! I have a question which I struggle with when I buy lipstick! What's the best way to try on and figure out which lipstick suits me, at a store like sephora? I find that trying it on my lips become deceiving because no matter how much I try to wipe it off after each try, the color stays on and it becomes a mix of colours. Drawing it on my hand also doesn't help as I still can't tell how it looks on my face. There are huuundreds of lipstick colors and it's so overwhelming sometimes! Help! How do you pick? I went and bought 3 Vivids because of your haul video... you're right! They're AMAZING! Thanks for the find! Jen, did you use a lipliner with these lipsticks? If so, what color lipliner did you use for the Hot Plum and Fuchsia Flash lipsticks? Jen, I completely agree! The Maybelline Vivids are a Great find. I have Vivid Rose and Neon Red so far, and totally in love with them. Great pigmentation, lasting power, and price point! All the colors look great, especially the hot plum, will definitely pick that up next time! Hi Jen, I just want to let you know that your picture from this post is being used by an online shop on facebook. I'm not sure if you are aware of it, since they used my picture without my permission I thought they might do the same with you. Here's the link to their fb page https://www.facebook.com/twlcosmetics/photos_stream ... they also use the same picture on their instagram.